You already know how much my girls LOVE playing dress up. A couple years ago I made these princess crowns for Audrey’s birthday. 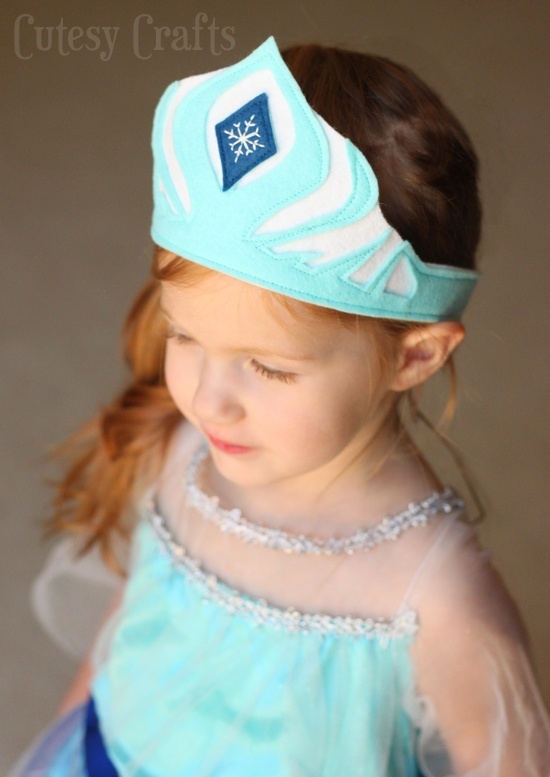 Well, now that they are completely FROZEN obsessed, I just had to make up an Elsa crown template. If you’ve watched the “after the credits” scene from the movie, you know that Elsa does not get her crown back after she throws it. So, I’m just going to imagine that she made a new one out of ice and snow. Hence, the blue. Did I think too much into that? Probably. You can make yours yellow (gold) instead if you want. 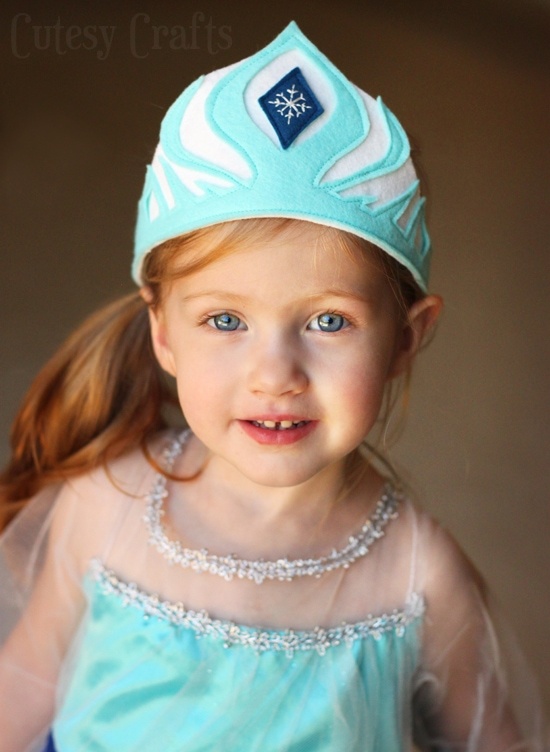 I love these felt crowns because they are easy for the girls to put on themselves, and they aren’t constantly falling off. 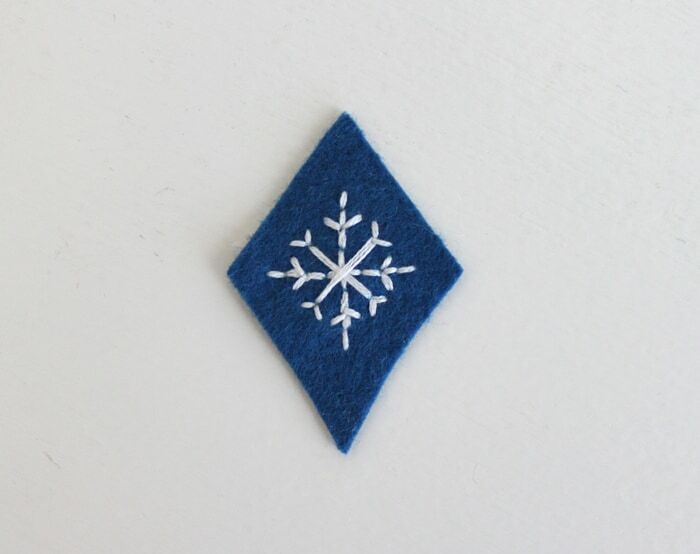 I embroidered a little snowflake on the front. 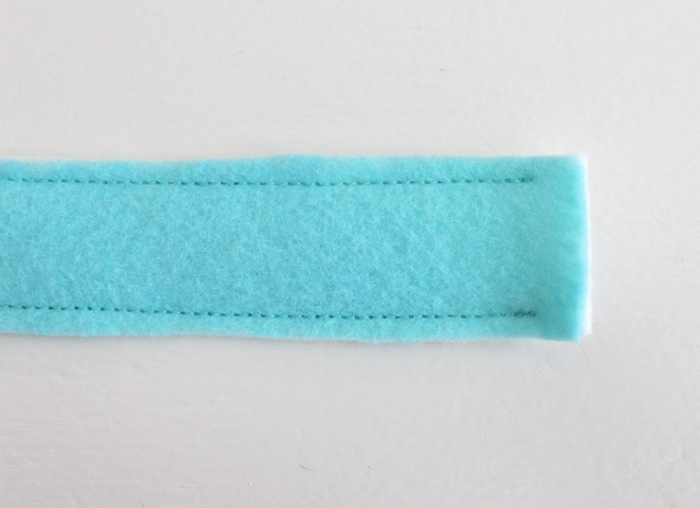 If you aren’t confident in your embroidery skills, you can always leave that part out or try cutting one out of felt. A snowflake bead or sequin would be really pretty too. 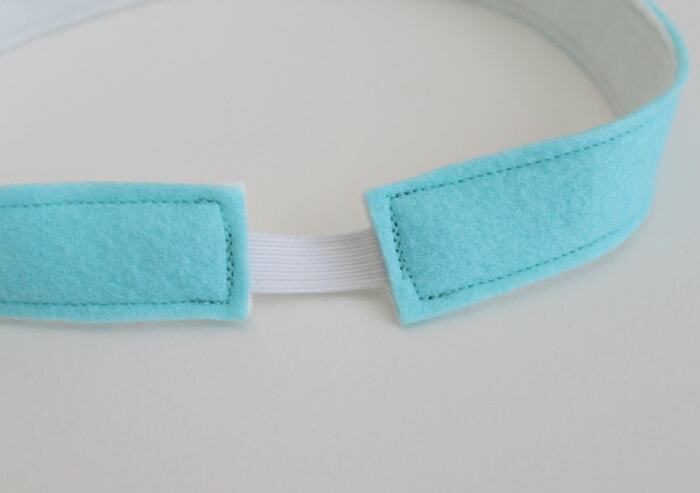 Cut out the overall shape of the pattern in white and the top layer in blue. Pin the pieces together with the blue on top of the white. Sew around the edges leaving both ends open. Cut a dark blue diamond the size of the center piece of the pattern. 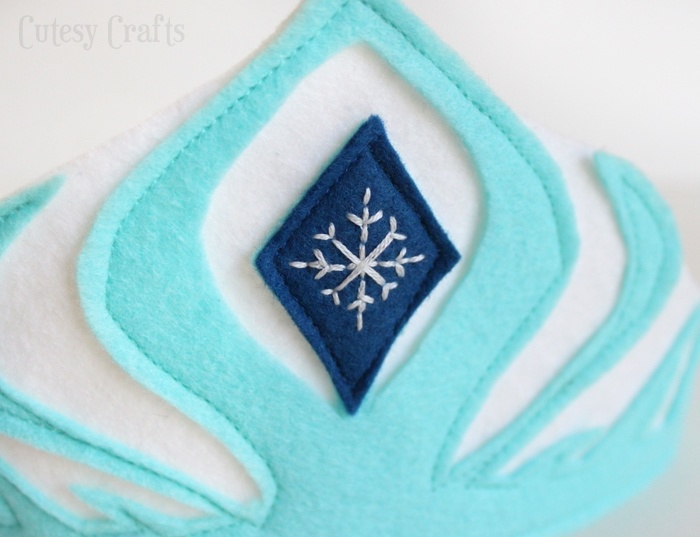 Embroider a snowflake on it. 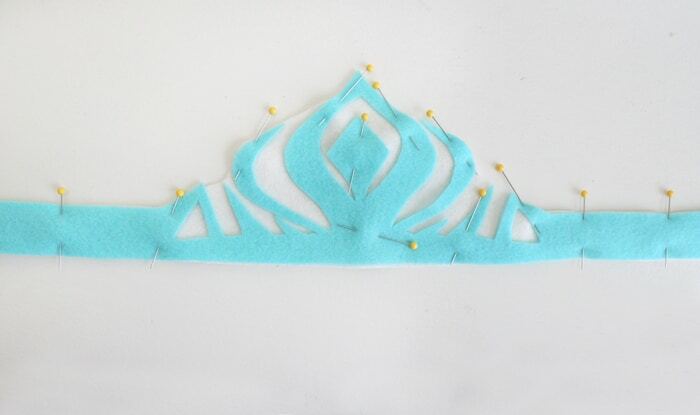 Pin the diamond to the center of the crown and sew it on. 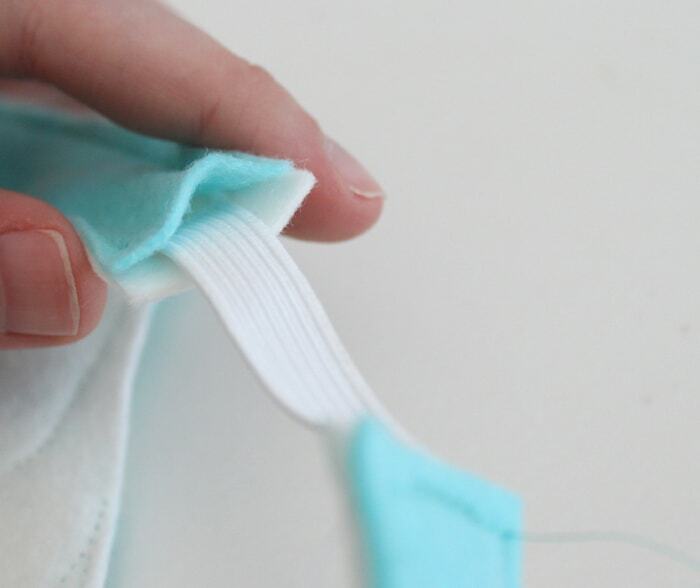 Tuck a piece of elastic into one of the open ends. Sew the opening shut, going through the elastic. Repeat with the other side, and you’re done! The girls love it! What do you think? Am going to have a go at one tonight !! This is beautiful! 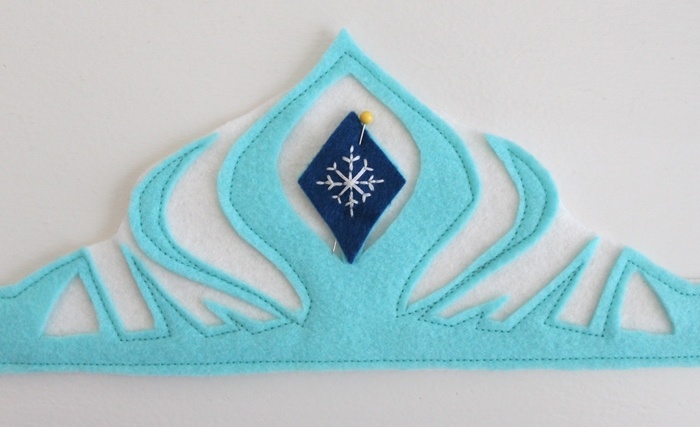 As I don’t have a sewing machine and not confident with hand-sewing the felt, do you think I could glue the two pieces of felt together instead? What type of glue would work on felt and any advice? Thank you! 🙂 I’ve heard that Aleene’s tacky glue is good for felt. You should be able to find that at the craft store. Just don’t put too much on, as it might soak through. Oh, and I would probably use something a little stronger for the elastic part. Maybe hot glue? Beautiful! 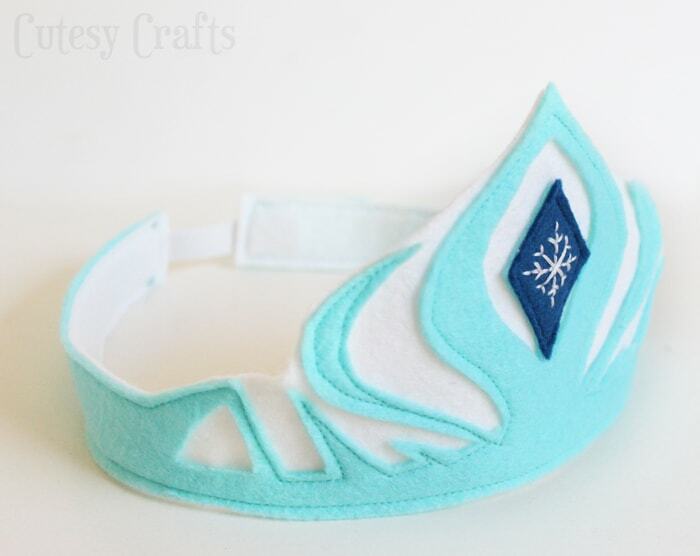 Where can I find elsa crown pattern. I don’t see it in your free patterns. Sorry about my english, greetings from Perú!!! Thank you for sharing your crown patterns. I can’t wait to see my granddaughters face when she comes over next time. Oh, you’re welcome! I know she will love it!